"All of the following pictures were developed and printed by MPL and scanned using an Easy Photo Reader with a 200 dpi resolution. Color balance and brightness were adjusted as necessary to make the pictures on my screen have the same tonality as the prints. In general, my system renders pictures too blue, so a little blue signal was removed. " 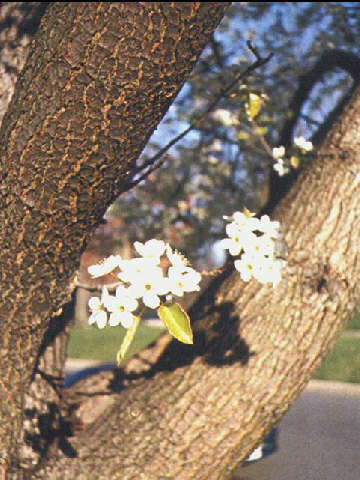 "A close-up view, about 18 inches, of some cherry blossoms growing out of a limb of the tree." Copyright 1997, Peter Zimmerman. 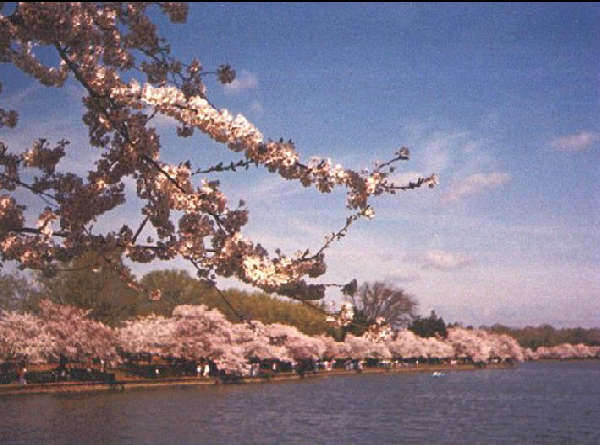 "This is a long shot of the Tidal Basin ringed with cherry trees. The foreground limb was the focus point at about 8 feet from me. Note that even though the distant trees should be wholly out of focus they are still well defined. Examination of the original print shows that the bare tree limbs in the far distance are not sharp but distinctly blurred compared to a matching shot where the camera was at infinity focus. One cannot use the Minox lens to make a background object essentially vanish into an out of focus blur." Copyright 1997, Peter Zimmerman. 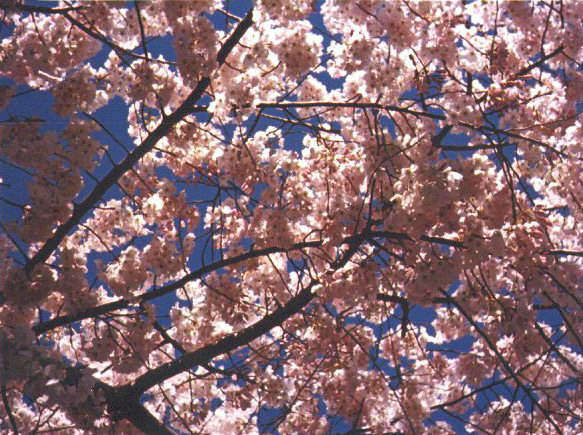 "Looking up at a cherry tree against the sky. The contrast is lovely, the flowers delicately shaded, and the colors realistic." Copyright 1997, Peter Zimmerman. 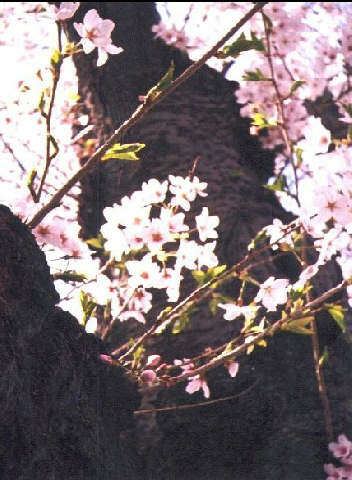 "This picture has been cropped to about half of its original area and then electronically re-enlarged. I like motorcycles as subjects because of the detail and colors one can bring out. 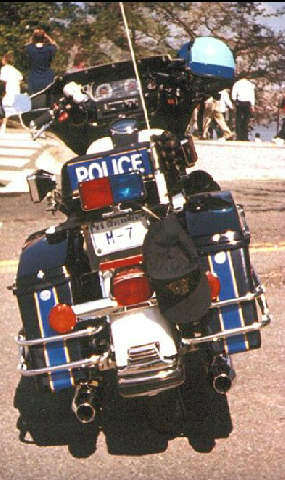 You can read the "U.S. Government" on the license plate and could, if the focus were on the instrument panel, have read the instruments." Copyright 1997, Peter Zimmerman. 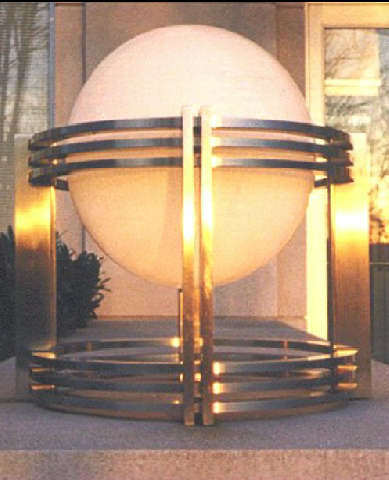 This light fixture in front of an office building where I work has been my standard subject. The day after my first roll of Minocolor Pro arrived I had to work late, almost to sundown, and for a few moments the setting sun changed the stainless steel frame to pure molten gold. 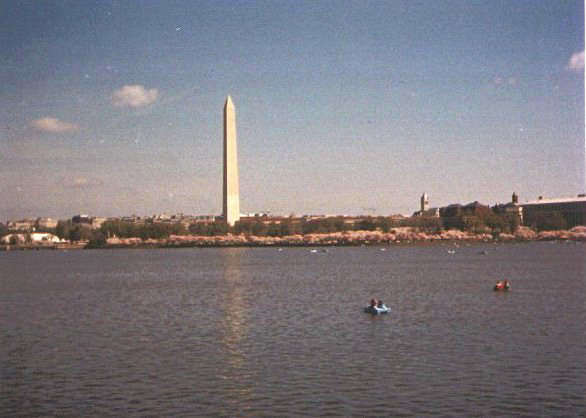 Copyright 1997 Peter Zimmerman. Another flower close-up at about 18" using the LX's measuring chain, this time of a Bradford Pear tree. Even on this tight a close-up the street in the distance has not gone wholly out of focus. Copyright 1997, Peter Zimmerman. I always believed one should not use a Minox loaded with color film for a long shot because the grain would destroy any apparent sharpness in distant objects. The new film makes it possible to get at least a good record shot, even in the absence of strong foreground detail. Distant objects are not as detailed as they are on matching shots taken with a 50mm Summicron on an M6. Copyright 1997, Peter Zimmerman.